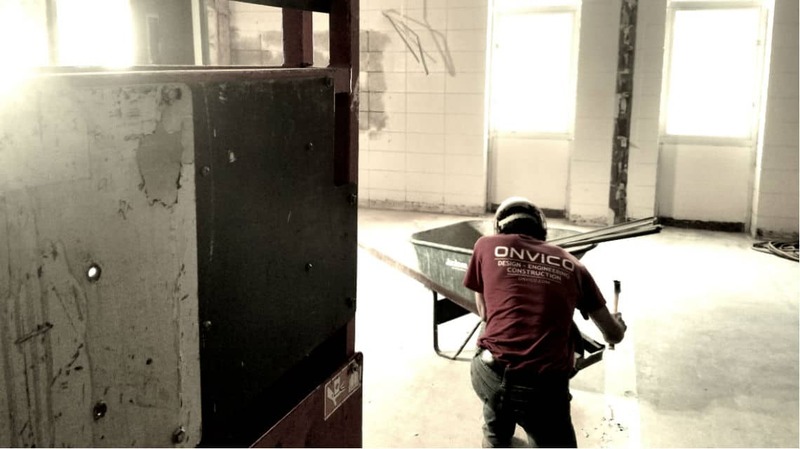 Onvico’s was tasked with the Phase 2 remodel at the Thomas University Student Life Building. Demolition needed to be completed and the existing spaces needed to be remodeled into offices for the teachers. An as-built of the existing and surrounding spaces was prepared before starting the remodel. Onvico then worked to draft a design of the new office spaces and hallway modification and worked with Thomas University staff to provide a design that fit their requirements. We also started preparing the drawings for the next phase by taking measurements and extending the as-built files to surrounding areas of the building. Demolition of the existing interior consists of removing existing tile flooring and general cleanup of the room in preparation for construction.